How Does Company Culture Affect KYC Execution? It is something of a rarity in 2017 for a company to not have an espoused “culture”, usually ingrained through mission statements and company values hanging on a wall. The examination of company cultures today contrasts to twenty years ago, when the word itself, if not the meaning, may have been considered a ‘fluffy concept’ at the periphery of real business activity by many organisations. Many corporate identities and cultures have become famous in their own right, with the culture being synonymous with the company name. As we’ll identify here, companies such as Google and Uber have very pronounced company cultures. In some instances this has served them well, in others, when pronounced values and culture are not lived by employees, the impact can be highly detrimental. Culture is a subject matter that has been deeply explored by consultants and those working in the field of leadership and management for decades. It can be described as having strong shared purpose and set of common values which are supported by behaviours, and evident in the day to day operational decision making in the business. Put simply “the way we do things around here”. There is a wealth of information on the subject from companies such as the CIPD and Investors in People. In recent years however, we have seen company culture become increasingly important to those working in the compliance industry. This is for the simple reason that a company can have all the tools and technology in the world to ensure compliance is carried out, but ultimately it is culmination of individuals’ actions which will determine whether a company is compliant or not. Leadership teams and senior risk and compliance professionals have come recognise that culture is one of the major levers available to them at a strategic level when it comes to managing their organisations. To highlight the importance of company culture more generally however, let us examine the two companies mentioned in the introduction. Google is of course, one of the most famous companies on the planet, and the technology behemoth is famous for having a laid back and innovative attitude. Google’s value system has been copied by many tech companies as they seek to replicate their successes. Google is unique in almost everything it does, from the way it hires new employees, to onboarding, company perks and particularly innovation, as Susan Wojcicki, Google’s Senior Vice President of Advertising, discusses in this post on the Eight Pillars of Innovation at Google. For every benefit that comes with having a successful and open culture such as Google’s, there are associated pitfalls for those that claim to have a great culture but do not exemplify, or live it. There has recently been a great deal of criticism aimed at the on-demand taxi service, Uber. A story broke from a former female employee who said she had encountered rampant sexism and sexual harassment while working for the San Francisco-based company, which was followed up only days later with a video surfacing of Uber CEO Travis Kalanick ending his journey in an Uber having a heated discussion with the driver. Industry sources have gone so far as to describe the internal culture of Uber as “Hobbesian”. The issue with the Uber culture appears to stem from one of the corporate values which is “always be hustlin’”. This value has been warped internally to excuse bad behaviour that would not normally be tolerated. From these examples we can see that culture has a large impact on firms, with Google flourishing in theirs, while Uber – at least to outside observers – appears to be struggling with the culture it has created. The important takeaway here is that corporate culture is not static, and should it not be nurtured it can impair a company. It can be changed or altered over time – either positively or to the detriment of an organisation. Although it is not easy to implement, successful culture changes can be impacted by enacting values and changing behaviours, employing new hires, and most commonly, as a programme of change implemented by company hierarchy. Traditionally those at the top have the most influence over culture and are best placed to change it should they so desire. 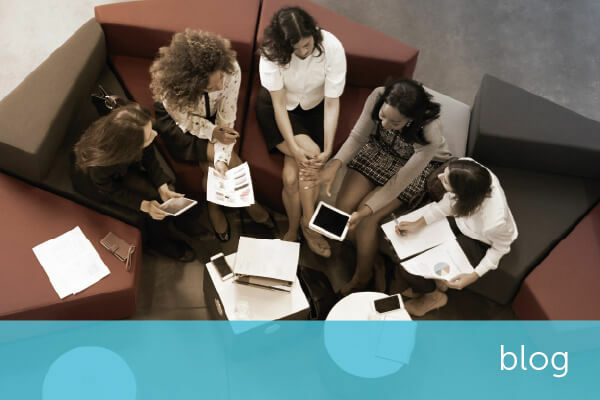 Company culture has a direct impact on employee behaviour, and is therefore of critical importance to compliance professionals working in the field of AML/CTF and executing Know Your Customer (KYC) policies. Having a poor or weak company culture can leave employees feeling disengaged with the work they are carrying out. In some cases lack of engagement shows up as lack of attention to detail or corner cutting – which when it comes to due diligence, can have significant repercussions. In other cases some can feel so disengaged that they will work to the detriment of their employer, or actively carry out crimes against them. This is highlighted by PWC, in their report Global Economic Crime Survey 2016: Old Dogs, New Tricks. PWC note that 55% of companies have experienced some form of economic crime. Of this, 18% of fraud has been committed by senior management against their employer. There has been no decrease in economic crime since 2001 and while the majority of economic crime is carried out by third parties, a significant percentage is carried out by employees. As we now know, breaches in compliance regulations can have devastating impact for banks, professional services, law firms and others. As well as substantial fines, those firms not abiding by their own compliance procedures are suffering substantial reputational damage. Although many firms are now updating processes and procedures so that technology takes the brunt of the load in KYC process, ultimately humans still play a key role determining whether a customer is successfully onboarded or deciding if further information is required. All companies who are required to undertake KYC processes on customers must enact a “culture of compliance” to ensure that processes are executed in the same manner for every customer. Virtual collaboration and working with colleagues across time-zones is now a standard part of modern business. Compliance teams have not been exempt from this trend. In fact, many organisations have elected to relocate onboarding teams and compliance analysts to locations where the growing labour force required to carry out often repetitive and highly structured semi-manual processes can be scaled at a lower cost than expensive global hubs like London. With the right tools in place there can be many advantages to this approach, including around the clock processing and standardisation through centralised functions. However as our Encompass Co-Founder Roger Carson has written about before risk relocated can be just as risky. Furthermore transferring and embedding the desired compliance culture in new locations can be difficult without deliberate attention. Wherever they are located, having the right employees in place within a compliance team is fundamental. Ensuring that they are trained to the highest calibre, have bought into the corporate culture, are engaged with what the company is trying to do, and are motivated in their jobs will give a firm the highest possible chance of staying compliant. Employees require a channel or person to report areas of policy they find unclear, unhelpful or ineffective. Companies with a compliance team that work within a poor culture can result in employees feeling unwanted, unrecognised and with a lack of sense of ownership in the company. This leads directly to poor work performance, and could result in KYC execution not being performed to the highest standards. Building a strong corporate culture that allows employees to flourish, give their best for their business and ultimately help the company achieve business goals is never easy to do. It is only with guidance, strategic leadership and the buy-in of all employees that it can succeed. There are a number of steps that can be taken that can help to bring about a strong compliance culture. As well as helping to ensure that your firm stays compliant, there are a host of outputs that are associated with having a positive and valued company culture. As culture is important for employees, it helps with employee retention, ensuring that they stay motivated and engaged. Engaged employees, who will want to give their best for their employer will then be comfortable and confident to speak up should they have any concerns about the mechanisms and processes around KYC. Having a team fully engaged with the KYC process will also improve efficiencies, and help to reduce administration costs. And keeping a team in place who are well trained and experienced in the domain will help to build a body of knowledge that could ultimately help your organisation achieve a competitive advantage (not to mention contain recruitment and training costs). RegTech enables organisations to respond to the increasingly complex burdensome nature of regulations which are putting compliance teams under added pressure. RegTech solutions free compliance analysts from repetitive, mundane tasks and allow them to focus on more engaging high value activities for a greater contribution to the business. RegTech can help turn espoused policies and desired behaviours into practice, consistently; by automating aspects of risk-assessment, day to day decision making will reflect and embed core values. RegTech solutions give compliance teams the full picture. Empowered with access to information analysts can take ownership of the process at hand. The compliance team is connected and contributing to the larger risk based system of control. Clarity on the policy promotes shared understanding and connection to the common purpose. RegTech can also enable collaboration with frontline staff as well as supervisors through secure cloud based systems and real time connections to data which is important for transparency, trust, and efficiency. At a time when fines are rising and compliance legislation is growing ever stricter, it is paramount for firms across legal, accountancy, financial services and elsewhere to be vigilant that their compliance procedures are executed exactly according to prescribed procedure. Companies who can build a positive culture that values and promotes robust KYC will be ahead of the field because having employees that are well trained, engaged and valued is of ever increasing importance. Likewise leveraging technology to relieve burdens, ensure consistency, automate manual process and arm staff with easy to access information will empower employees. It is these employees that will ensure that KYC policies are followed, and clients onboarded have been verified. This can be achieved by having a strong, inclusive and valued company culture. Alex has worked with encompass since 2012 and re-located to Glasgow in 2015 for the company’s launch in the UK and establishment of the UK operation. As Vice President of Operations, Alex oversees Customer Success, Product, Business Systems and Security from the head office in Glasgow. 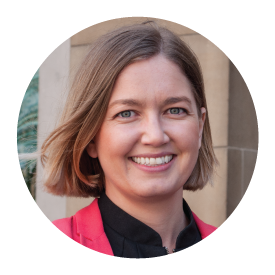 Previously, Alex was Marketing and Innovation Manager for the Institute of Executive Coaching and Leadership in Sydney and Hong Kong, and prior to that marketed software company The Distillery. She holds degrees in Japanese and Marketing, as well as Digital Marketing qualifications from ADMA and Product Marketing from UC Berkeley.